Thank you for choosing InStyler® Ionic Styler Pro. We are dedicated to your satisfaction and for your convenience, we have provided this Site Map. If you should have any questions or comments, please feel free to visit our Customer Service Page. Thank You! Yes, I prefer to make one easy payment of $119.95 USD plus $19.99 USD P&H. You must be at least 18 years old to place an order. 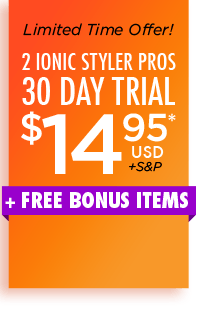 Get 2 Instyler® Ionic Styler Pros for a 30 day trial period for just $14.95 USD + $19.99 USD S&P plus the FREE BONUS items! 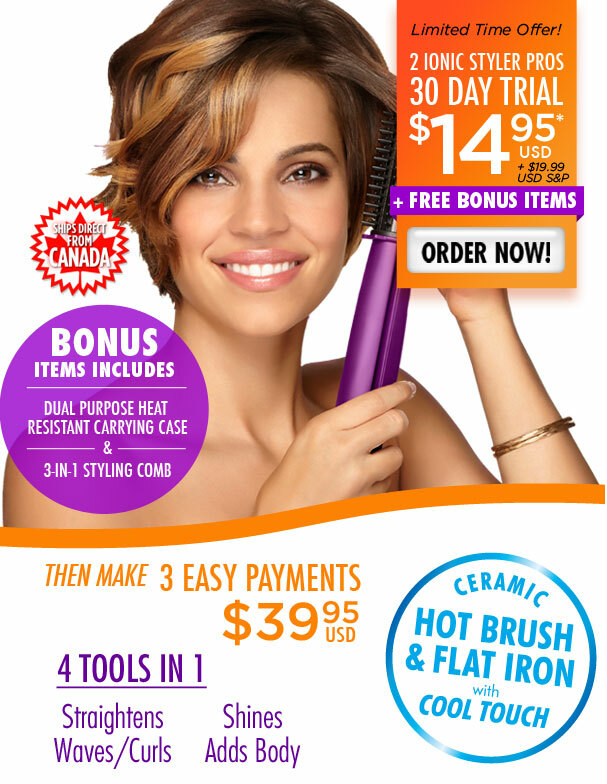 Dual purpose heat resistant carrying case and a 3-in-1 styling comb. Keep it past the trial period and it’s just 3 easy payments of $39.95 USD on the credit card you used today. Or you have the option to waive the Trial Fee and make one easy payment of $119.85 USD plus $19.99 USD S&P. Applicable sales tax will apply. Ships direct from Canada. All pricing is USD. No tariffs or duties.